If you’re an artist, writer, musician, or actor trying to make your way in the world, it’s not easy! The world seems to reward the core careers of finance and business, leaving creatives to battle it out for scraps. However, there is a way to break through the difficult glass ceiling. A strong online presence can help you build your creative brand, and stand out against the others. All you need to do is capture the attention of the right people, and make your work known. In this post, we’ll show you how to do exactly that. The first step is creating a professional portfolio website. A good site will show off all your previous achievements and experiences, while showing your creative flair. It’s easier than ever to create a professional portfolio using the likes of WordPress or Wix. These website-building platforms are set up for you to drag and drop your perfect design. 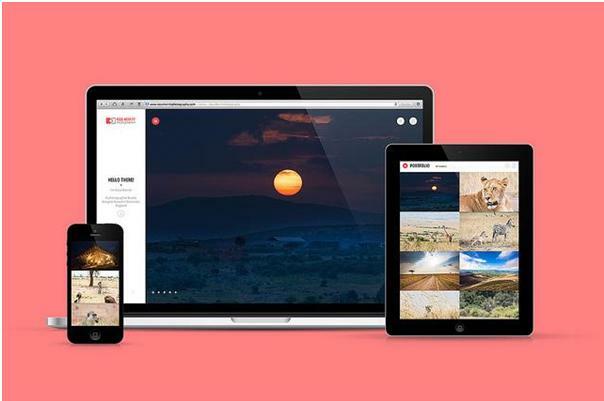 Showcase your best work with high-definition images, videos, and wording. Social media is the perfect place to show off your creative talents. It’s also a fantastic way to grow a strong following of fans. If you’re a musician, you can treat your fans to exclusive recordings or performances on your Facebook page. You can do a similar thing if you’re an artist, model or writer. Draw something and encourage your fans to share it far and wide. Post pictures of your recent modeling shoot, or upload a recent extract from your novel. Encourage sharing, and expand your reach on social media. YouTube is an incredibly effective outlet for creative people. It gives you the chance to show off your skills, and get your work in front of a big audience. Start by setting up your own channel, and posting videos of your work. This is perfect for musicians to post live versions of their songs. It’s also great for comedians to get in from of the camera, and artists to show off their work. Great YouTube videos are shared across the web, so it’s a great way to get your name out there. The creative world is full of blogs, influencers and media sites that expose talent. A great PR company can help introduce your work to these influences. They’ll show your songs to journalists and bloggers, or help publish your writing in major media sites. Online promotions for actors works in a similar way; it will help get your reel in front of the right people. Using the internet is one great way to get your name out there. And the best way to do this is directly target the key decision makers. If you’re a musician, reach out to labels and promoters online. If you’re an actor, spark a connection with local directors and producers. Build a relationship with these people, and you never know what opportunities will arise. It’s a difficult world out there for creatives, but all you need is one big break. Increase the likelihood of finding that break by following these digital pointers. Good luck!